I spent 2 hours of my weekend cooking 2 simple dishes. pumpkin sago dessert (南瓜西米露) & herbal tea egg and pork. 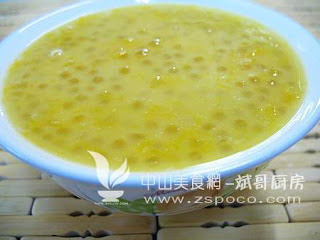 南瓜西米露: I lazy to take photo so i found a similar photo of it on web. nono...wait for me!! I will be back on 23rd jan. Anyone there available for me? I think I'm available. I can stay for you till 24 and 25 go back my mu place..hehe..I will back again on 29 or 30.